Welcome to Center Pointe Pilates! Thank you for contacting us. We can’t wait to connect with you and find out how we can assist you. We should respond to you within hours, but please give us at least 24-48 hours. Meanwhile, please review the rest of our site, learn about our instructors and if you decide that you definitely would like to work with us, we strongly recommend that you start with our New Client Special: 3 1-Hour Sessions for only $150. 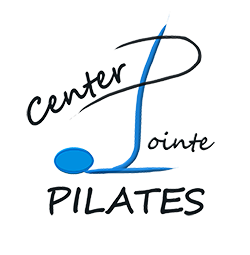 This is a best way for us to learn about you and for you to learn about Center Pointe Pilates and your instructor. You can purchase this special package online: HERE – Use special Promo Code: WEB120 and save additional $30 when buying this package online. Also, to ensure we are not spending valuable session time on filling out paperwork, we recommend that you fill out the following forms prior to your first visit. You may disregard this step if you have already created an online account through Mindbody. This will help save you time as well as save the planet! To create your online profile please click here. If you prefer to download and fill out the form, you may do that as well. Please bring it to your first session. Please download this form, fill out completely, and bring to your first session. You will need Adobe Reader to view the form. If you do not have Adobe Reader on your computer, you may download it from the Adobe Website.